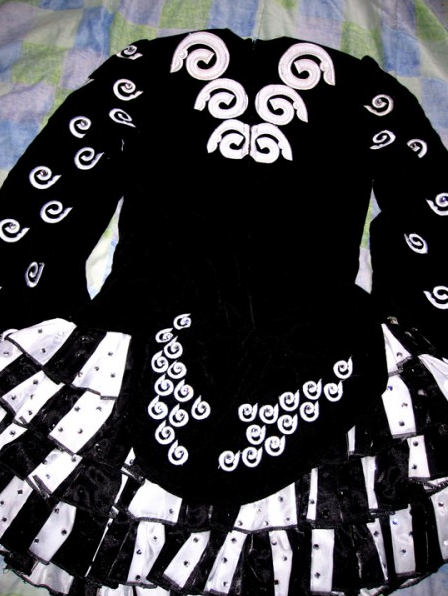 This is a great Champion black and white Gavin Doherty dress. It has a very different soft skirt that flatters the dancer. 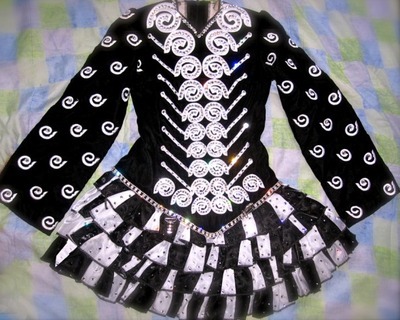 It is covered with a great amount of Swarovski crystals for great stage presence. Any color hair will look great with this dress. Sadly outgrown. Asking Price: $US1,000.00. Shipping costs are not included in the asking price. Will accept returns and refund the cost of the dress, buyer to pay all shipping costs.